Wild Boar Yamaha Grizzly/ Kodiak 700 Radiator Relocation Kit $189.00 With Free Shipping! **Black Friday** Yamaha Grizzly 550/700 (Kodiak 700) Complete Kit 14-15 $160.00 with Free Shipping! 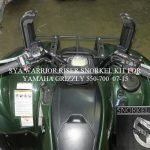 Yamaha Grizzly & Kodiak 700 14-17 Radiator/Snorkel Combo Kit $410.00 with Free Shipping! 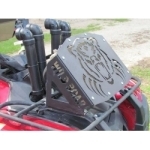 This combo kit comes with The Wild Boar radiator relocation kit is the best in the market, they are powder coated and made of Steel to last in the harshest conditions. 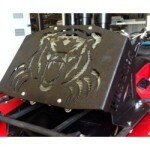 The Kits will come with all the hardware needed to mount the radiator on the front rack of your ATV. 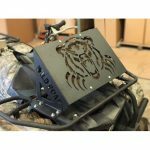 Yamaha Grizzly/Kodiak 700 16-17 Radiator Relocation Kit $189.00 with Free Shipping!